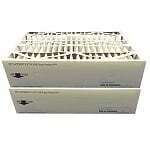 Find Replacement Air Filters Fast & Easy! While many people worry about outdoor air quality, statistics show that they actually should be more concerned about indoor air quality (IAQ). IAQ is the measure of harmful pollutants discovered within or around your home. The EPA ranks IAQ as one of the top five public health risks. Pick a size. Pick a quality. Checkout. Can I use the same air filter for both heat and AC? Yes, both AC filters and furnace filters are the same thing. We categorize filters based on their intended use to make filter shopping easier for the customer. During the summer months you are more likely to search for AC filters. While during colder winter months you are looking to buy furnace filters. A good tip for remembering when to change your filters is to replace them at the start of each new season. Which direction does the air filter go? Always point the arrow on the box in the direction of airflow. If you are unsure the direction of airflow turn on the system fan. 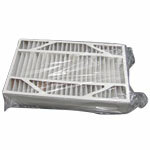 Do not remove the old filter before checking airflow as this might allow dirt or debris to escape. What is air filter MERV rating? The Minimum Efficiency Reporting Value (MERV) is used by manufacturers to explain how efficent the air filter is at trapping airborne particles. A higher MERV rating means cleaner air but reduced air flow. MERV 8 filters capture 80% of airborn particles like pollen, dust mites, mold spores, and pet dander down to 3 microns in size. 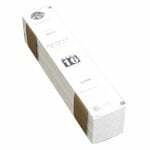 MERV 11 air filters capture up to 95% of the above mentioned airborne particles down to 1 micron in size. If you choose a MERV 13 filter expect greatly diminished airflow but improved filtration of bacteria, tobacco smoke, and cooking oil down to 0.3 micorn in size. Before you choose a MERV rating check with your HVAC manufacturer to see what your system is designed to handle. Picking the wrong filter can impact air flow and reduce equipment life. When to change the air filter in your house? Replace your air filters every 3 months. You may need to replace your filters more frequently depending on air quality. 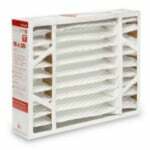 If you are unsure about indoor air quailty check the filter monthly. If you notice the filter material is greatly discolored or noticably dirty change out the filter. Failing to replace air filters as recommened can lead to reduced system efficieny, greater energy costs, and poor air quailty. Which air filter is best for allergies? If you have respiratory problems caused by pollen, dust, mold, or pet dander a MERV 11 filter can help reduce the severity of aliments caused by allergies. If you are sensitive to smoke from cooking or tobacco a MERV 13 filter is recommend. For many allergy sufferers it is recommend you install filters to process both supply and return air. Before you choose a MERV rating check with your HVAC manufacturer to see what your system is designed to handle. Picking the wrong filter can impact air flow and reduce equipment life. Which air filter is best for my home? Your choice in air filter should depend on needs. MERV 8 filters are perfect if you have no pets and allergies are not a serious concern. MERV 11 filters are recommend for occasional allergy sufferers and homes with pets. 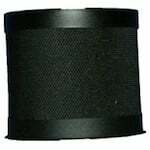 A MERV 13 filter should be used if allergies are a serious concern and there are tobacco smokers in the house. Filtersfast brand air filters are proudly made in America. While the manufacturing location of products can vary from company-to-company, Country of Origin laws require that most products manufactured outside of America bear labeling that tells consumers where the product is made. This label should be visable on the product itself or the packaging in which it arrived. Are the home air filters electrostatically charged? Yes, Filtersfast, Filtrete, Carrier, among many other air filter brands use an electrostatically charged filter media. Fiberglass air filters are far less common today and were never designed to improve air quality, rather they protect HVAC systems from large dirt and debris. 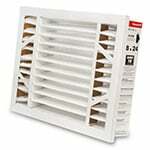 The Honeywell F100F2010 20x25 Media Air Cleaner uses a 4-inch extended media that makes replacement quick and easy. 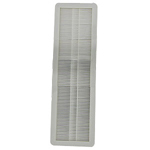 The Honeywell FC40R1830 18x30 Return Air Grille Filter is a high efficiency, replacement air filter for return grille applications. 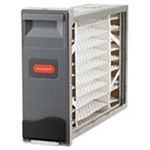 Honeywell replacement furnace filters capture airborne particles that circulate through the furnace filter. 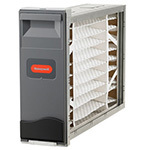 The Honeywell FC40R1094 is a high-efficiency, replacement air filter for return grille applications. Designed to capture airborne particles that circulate through the filter. Nominal Dimension 12x12x4. Genuine Honeywell Part. 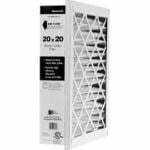 The General Air F1020 MERV 13 Filter Media measures 20"x25"x4" (approx. 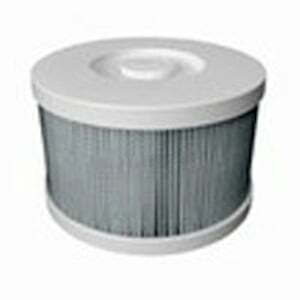 ), and is correct filter for General Aire TERSus2000 Air Purification Systems. 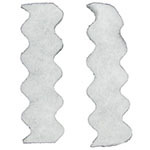 This Hoover Power-Drive WindTunnel Vacuum Final Filter is a replacement vacuum final filter for Hoover Self-Propelled WindTunnel Upright vacuums with the Hoover Allergen Filtration System. This Lennox Healthy Climate Filter offers efficient air-filtration performance. This Lennox HEPA 60 carbon filter should be replaced every 2-5 years. The RPS Ceiling Fan Air Filter comes in this convenient, cost effective 2-pack value set. 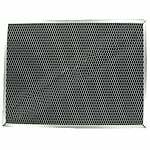 The Carrier 356066-1202 Charcoal Filter is a genuine OEM factory replacement charcoal carbon filter for compatible Carrier air cleaners and Bryant air cleaners, especially the Carrier EACBAXCC0014 Electronic Air Cleaner. Special Order. Ships in 11 days. Special Order. Ships in 3 days. The Trion Air Bear Supreme 1400 Media Air Cleaner, part number 455602-119C, provides a clean and controlled indoor air environment in your home by removing dirt, dust, pollen and other microscopic particles and other microscopic particles. In Stock! Ships in 27 to 28 business days. The Trion Air Bear Right Angle Media Air Cleaner, part number 447380-002, provides a clean and controlled indoor air environment in your home. Ideal for installations that normally require a 90 degree duct adaptor. In Stock! Ships in 30 to 31 business days. 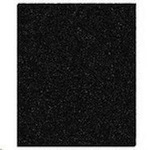 This Lennox Charcoal Carbon Filter 92X10 is designed to capture 99.97% of particulates down to 0.3 micron that pass through it. The Lennox Healthy Climate filter should be replaced every 2-5 years. Special Order. Ships in 5 days. The Lennox 94X98 HEPA 20 Filter System Carbon Canister is a replacement carbon canister for the Lennox HEPA 20 whole house air cleaner, which is designed to be attached to the ductwork of a home or office. Special Order. Ships in 2 days. In Stock! Ships in 16 to 17 business days. 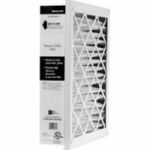 The General Aire F1021 MERV 13 16x25x4 Media Filter is the correct replacement filter for the GeneralAir TERSus1200, and removes airborne particles and allergens as small as 0.3 micron to improve indoor the air quality of your home dramatically. 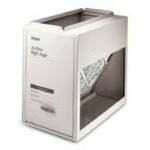 The Honeywell F100F2044 25x20 Whole House Air Cleaner does not require electrical connections and mounts in the return air duct in any position. 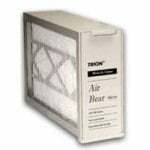 The Trion Air Bear Supreme 20x20 Media Air Cleaner, part number 455604-019, provides a clean and controlled indoor air environment in your home by removing dirt, dust, pollen and other microscopic particles such as grease and soot from your air. 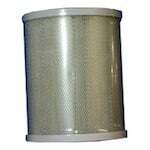 This Lennox 92X17 HEPA Filter Cartridge Replacement offers a 3-stage filtration process is used to create a very effective filtration system. The Lennox Hepa Air Filter offers possible air-filtration performance.